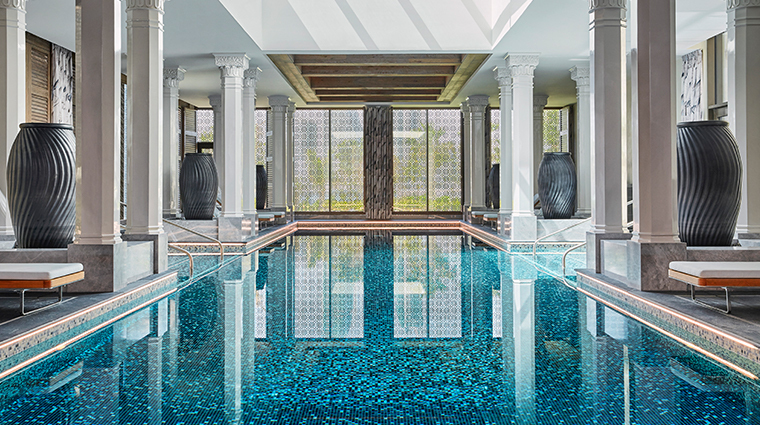 Four Seasons Hotel Bahrain Bay emanates luxury, from the moment you cross the bridge onto the lush private island built exclusively for the resort. 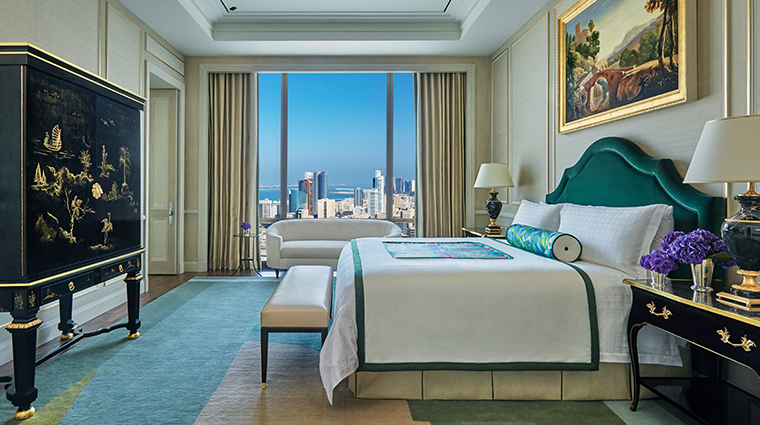 The eye-catching H-shaped building, designed by the same architecture firm that built the Burj Khalifa, is an icon of Manama’s skyline in its own right, but the property’s 273 guest rooms don’t disappoint, with sweeping views of the Arabian Gulf and the rapidly growing Bahrain Bay area. 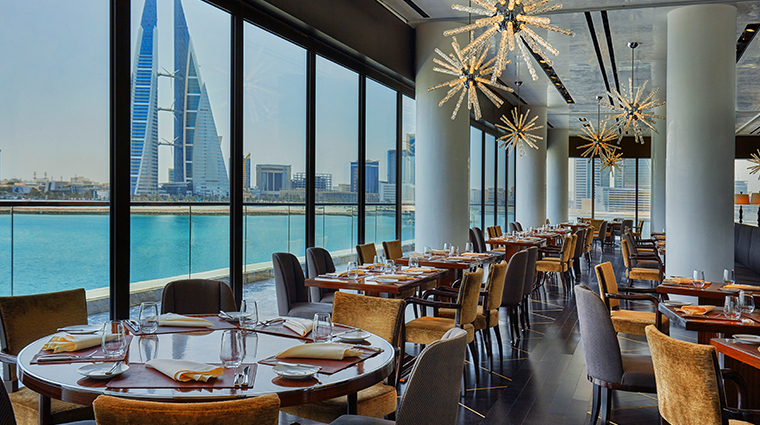 Bahrain’s Four Seasons combines world-class service, sophisticated interior design by Pierre-Yves Rochon, top-notch restaurants and bars — including two from celebrity chef Wolfgang Puck — with a unique blend of Middle Eastern influence and Western decadence to create an urban hotel that is just minutes from the capital’s best shopping and attractions, but feels like a tranquil island escape. 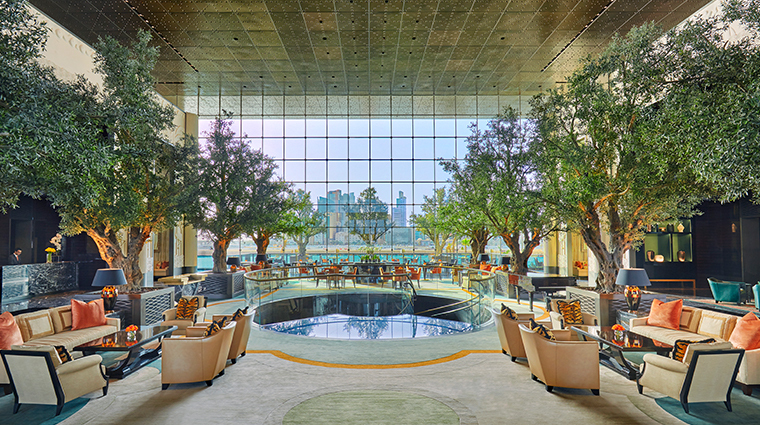 The lobby, with windows stretching from the marble floor all the way to its 41-foot ceiling, is impressive at any time of day or night, but is particularly lovely in the afternoon, when you can relax in one of the semi-private seating alcoves or enjoy high tea while listening to live piano music. 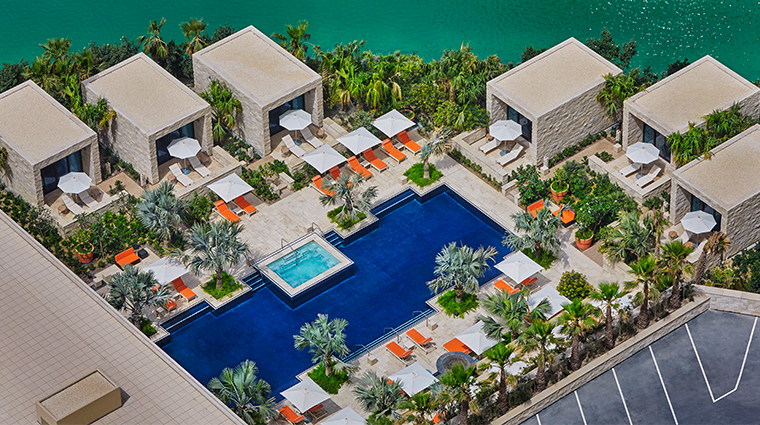 The island resort boasts three outdoor pools, including a secluded adults-only option with air-conditioned cabanas for particularly sweltering summer days, as well as an indoor lap pool with ladies-only hours. A brand-new beach is slated to open this summer. 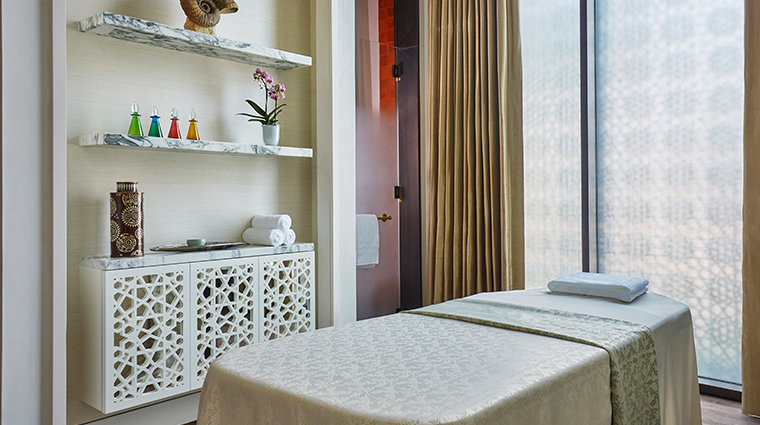 Indulge in a treatment at Four Seasons Hotel Bahrain Bay’s spa, the second largest in the brand (behind The Spa at Four Seasons Hotel Westlake Village). And don’t miss the gym — it’s one of few in the region to offer aerial yoga, and introductory classes are free for hotel guests. 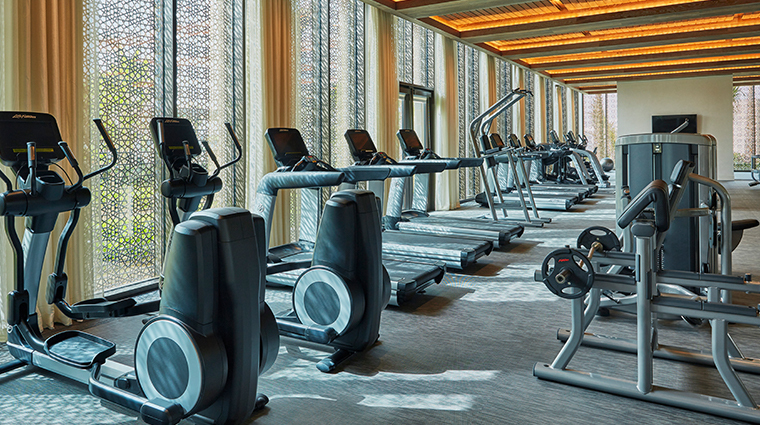 The center also maintains a full schedule of spinning, aerobics and traditional yoga classes, as well as a wide variety of exercise machines in unisex and ladies-only areas. 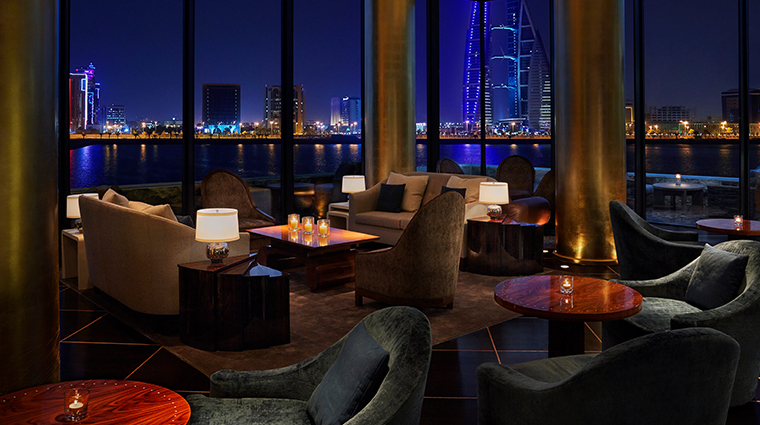 To really take in the lights of Manama, head to the Moroccan-inspired Blue Moon lounge on the 50th floor for a cocktail, or relax with signature shisha next to the infinity pool at the Vento lounge. 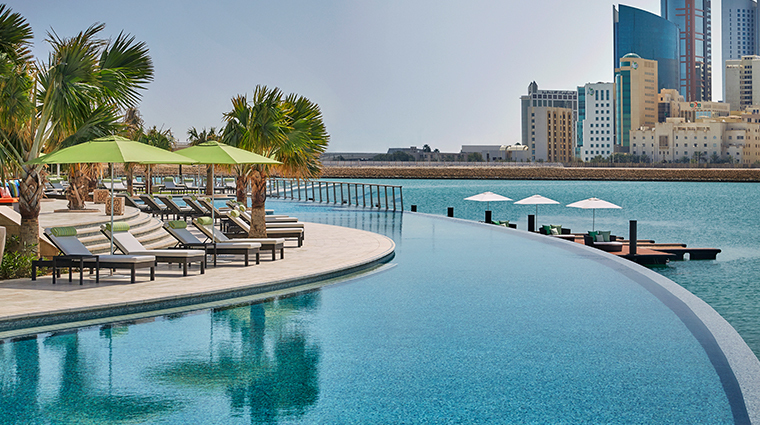 If gazing at the turquoise waters of Bahrain Bay isn’t quite enough, head out on an aquatic adventure in a kayak or on a paddleboard (non-motorized water sports are complimentary), take a water taxi to the new Avenues shopping mall or rent a floating lounge boat at sunset for a private tour. Celebrities and VIPs from around the world descend on Bahrain in early April for the country’s Formula One Grand Prix, which makes for an exciting time with plenty of special events, but also means larger-than-usual crowds and killer traffic. Be sure to make reservations early for this time. 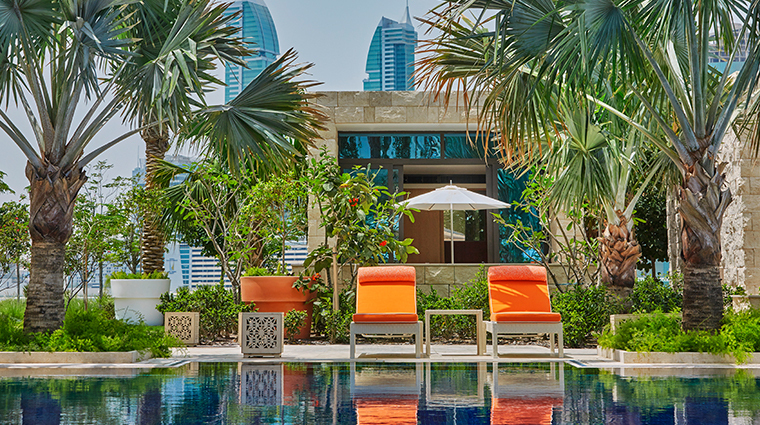 The urban resort offers a variety of options during the month of Ramadan for guests who are observing the holiday and those who are not. Experience Iftar and Ghabga inside the Ramadan tent, enjoy a quiet Iftar or Suhoor meal in the privacy of your room or visit Re Asian Cuisine for an à la carte breakfast and lunch. 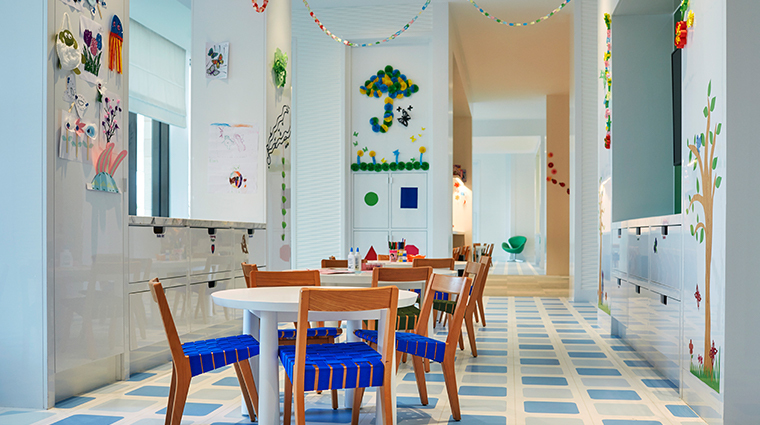 The Four Seasons’ renowned hospitality also extends to its youngest guests, with pint-sized bathrobes and other children’s amenities available for the rooms and a Kids For All Seasons Club designed for little ones ages 4 to 12. 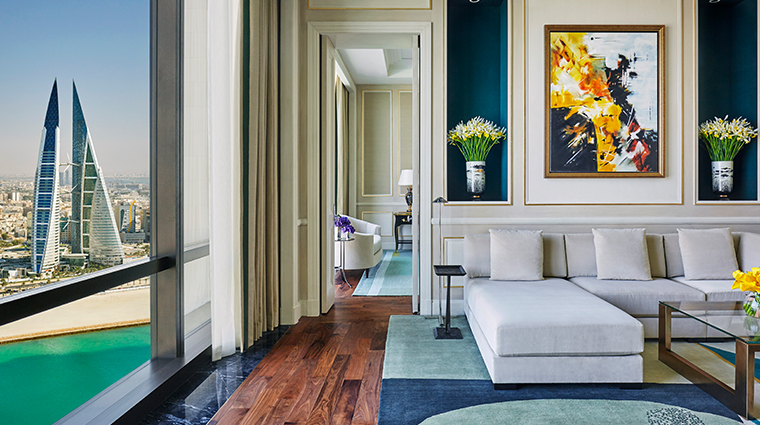 The concierge can also arrange babysitting services, if necessary. 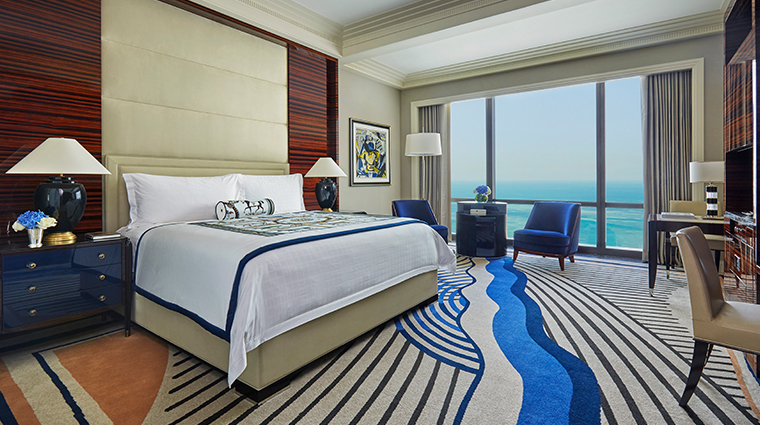 The spacious hotel rooms and palatial suites are furnished with some of the most comfortable beds in Bahrain and decorated to evoke 1930s ocean liners, albeit ones decorated with Bahraini art and luxurious Arabian racehorse-inspired bedding. 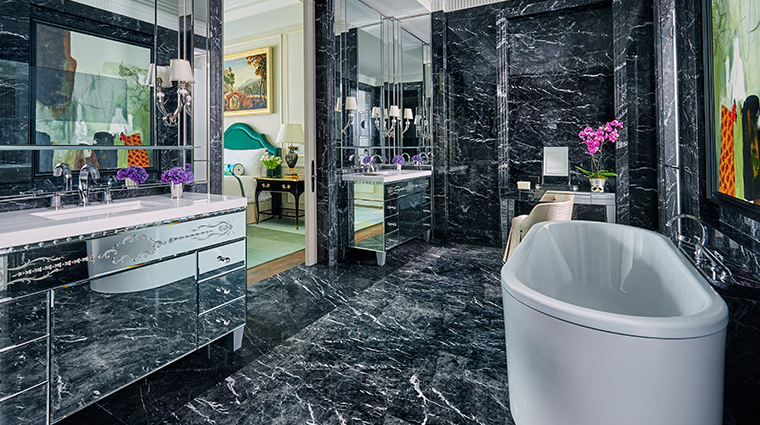 Sparkling marble and mirror-covered bathrooms are light and bright, with enormous bathtubs and showers big enough for an entire family. 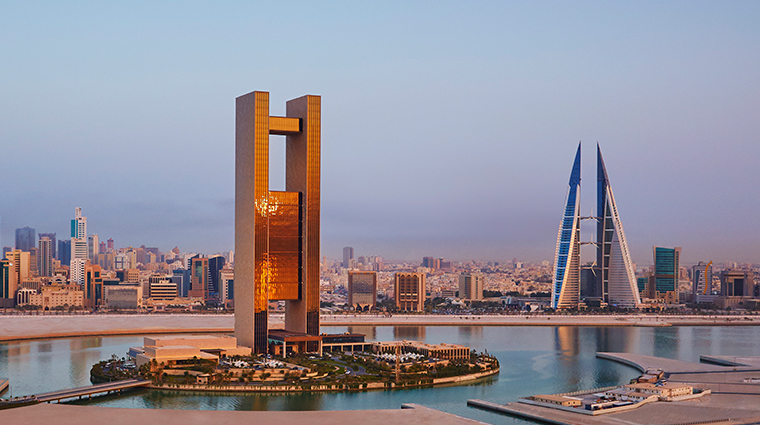 It’s impossible to find a bad view from the Bahrain hotel; rooms face either the Arabian Gulf or the sparkling Manama skyline and its famous Bahrain World Trade Center. As soon as you’re seated at Cut by Wolfgang Puck, you’ll be treated to a parade of beef sourced from Japan, Australia and the U.S., with waiters explaining the features of each prime selection. Still, you won’t be faulted for simply enjoying some of the well-cooked side dishes (like the to-die-for macaroni and cheese) accompanied by one of the spot’s signature cocktails. 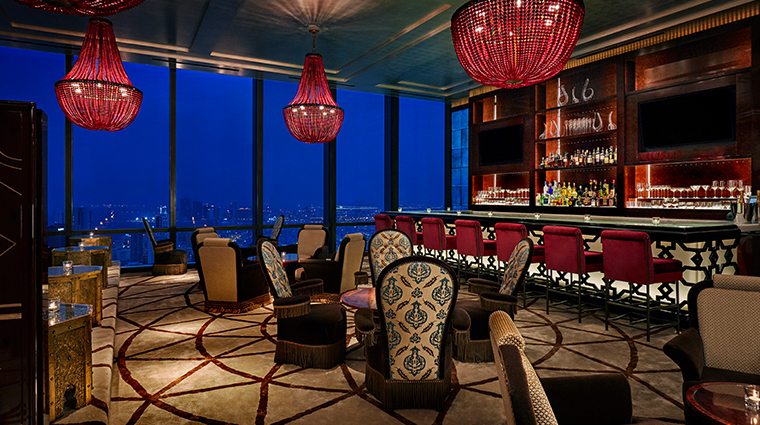 Re Asian Cuisine by Wolfgang Puck towers over Manama on the 50th floor of the luxury hotel, offering beautiful views along with inventive Eastern flavors by affable executive chef Brian Becher. Allergies or food aversions are no problem, as each dish is made to order and the restaurant serves only halal meats. 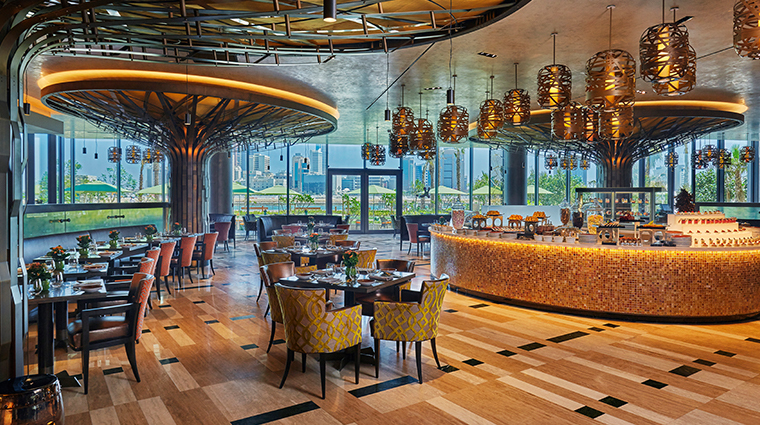 Wake up with an impressive breakfast buffet in Bahrain Bay Kitchen, which features indoor and outdoor seating as well as foods from a variety of cultures to suit every palate. 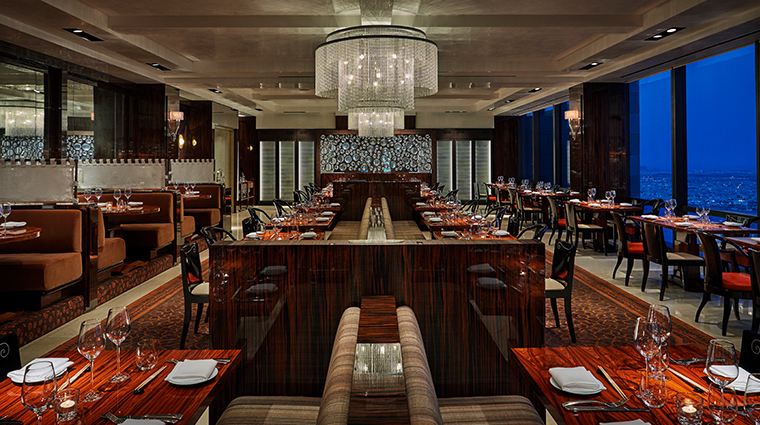 The eclectic restaurant also serves lunch and dinner for those who prefer a more casual dining experience. With its red-and-white checked tablecloths and relaxed poolside location, Vento has the feel of a casual neighborhood restaurant with the elevated food of an upscale trattoria. Plenty of outside seating is available for dining or enjoying drinks and shisha. 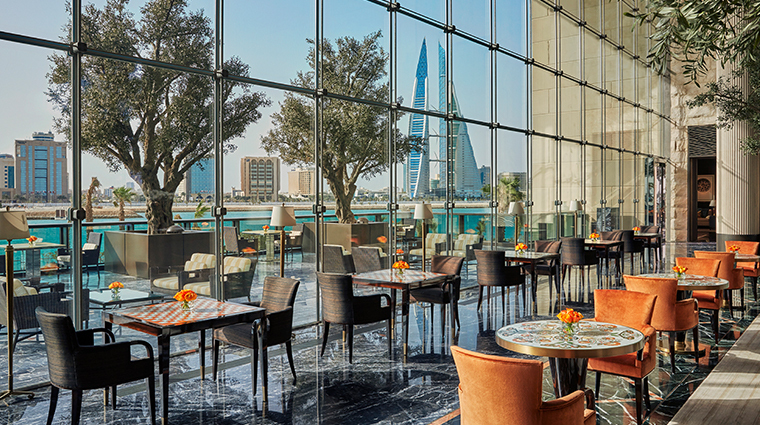 Bahrain takes brunch to a whole different level, and the Four Seasons has a slate of options, including an over-the-top international buffet on Fridays and an Arabic favorites brunch on Saturdays. 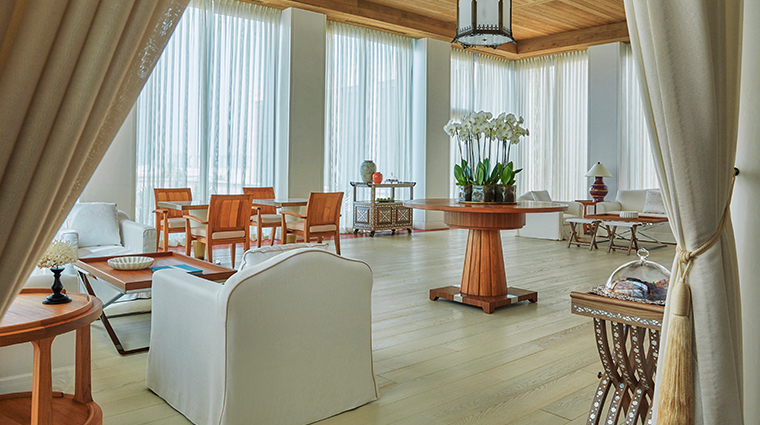 Arrive when brunch begins and stay the full three hours for the ultimate indulgent experience.